"Always-On" connectivity of applications in Smartphone is causing many problems in 3G networks world wide. Many smartphone applications (Facebook, email, Skype to name a few) are always running in the background and constantly sending updates and keep-alive packets to servers in the internet. Every time a smartphone application sends a keep-alive packet, radio resources from the network are taken. The situation can be very problematic when many smartphones in the network are running similar applications in the background. Such behavior was observed by 3G operators when the data storm was seen as a result of high influx of iPhone in operators networks. To make the situation worse, smartphone's vendors introduced another feature i.e. "Fast dormancy" enabling UE to send fake error message to network and go in to the idle state in order to save battery power.This also results in large amount of signaling. Now the question arises how LTE is going to handle this problem. LTE Networks promise a lot of improvements over 3G Networks,yet facing many challenges. 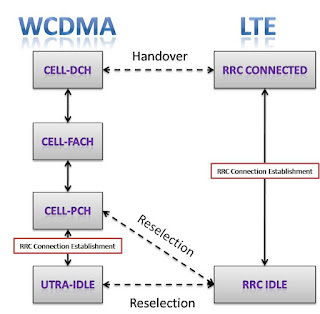 The first improvement is that we have only two RRC states (RRC-Idle & RRC-Connected) as compared to four RRC states in WCDMA networks. This can largely improve RRC efficiency. LTE Flat architecture will also help in decreasing radio networks signaling load. 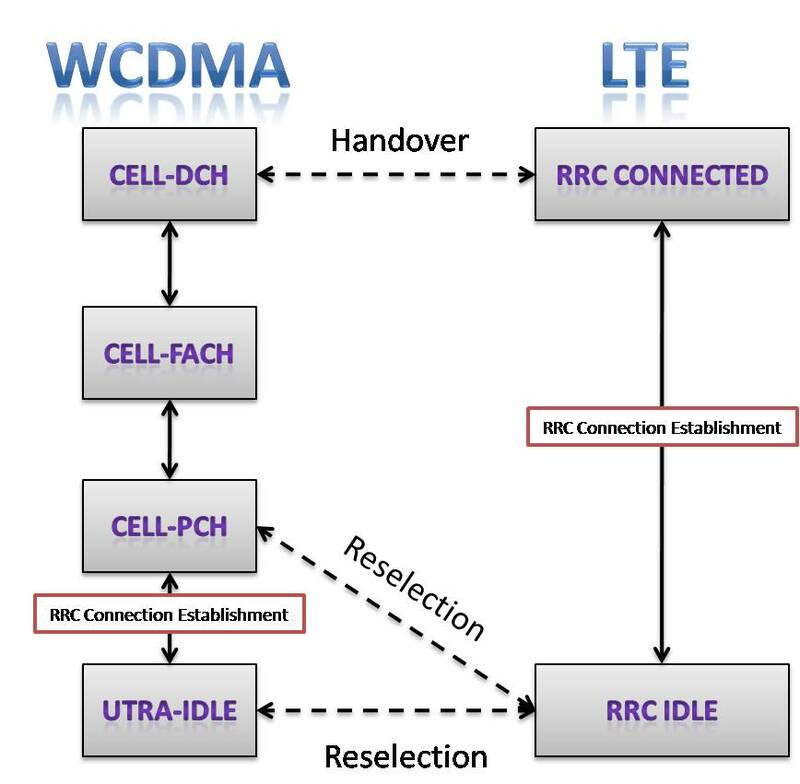 To improve the battery consumption in LTE terminals, discontinuous reception in RRC connected mode has been introduced, which will switch off smartphone transceiver even in RRC connected state. All these improvements in LTE somehow are very encouraging for the operatiers. In real scenario however,when dealing with millions of users in the networks, this still can be very challenging. There's also a possibility that LTE core network may not be capable of handling the signaling storm in coming years. Thanks for great info. BTW, here’s a free ESN checker tool as community service to validate CDMA phones. I am anything but computer smart. I don’t know anything about wireless or wired technology unless it comes to plugging and unplugging a device hehe.